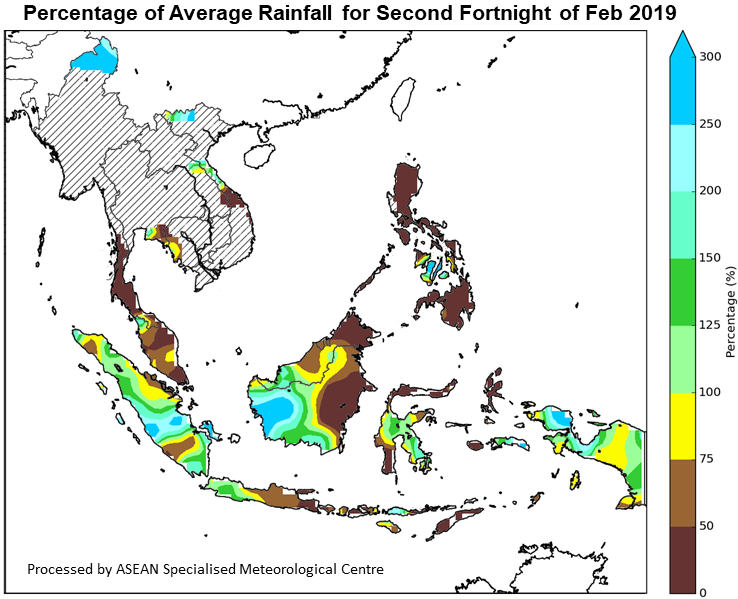 1.1 Northeast Monsoon conditions persisted over the ASEAN region in the second half of February 2019. Northeasterly or easterly winds prevailed over the Philippines, southern Thailand and most parts of the southern ASEAN region. 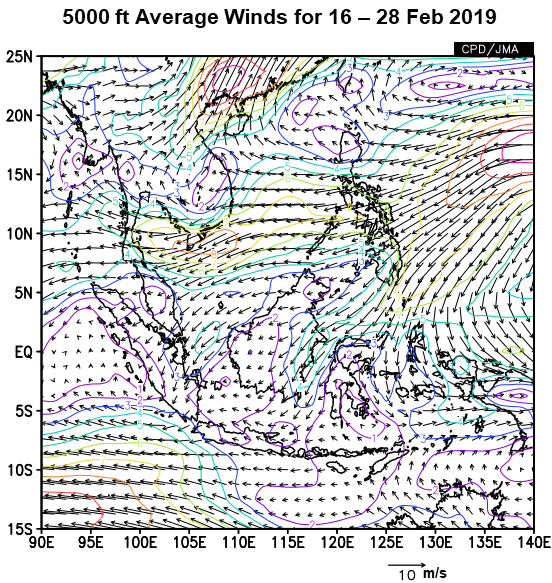 Over the Mekong sub-region, prevailing winds were generally blowing from the southeast or southwest, with confluence of winds over parts of the Mekong sub-region. 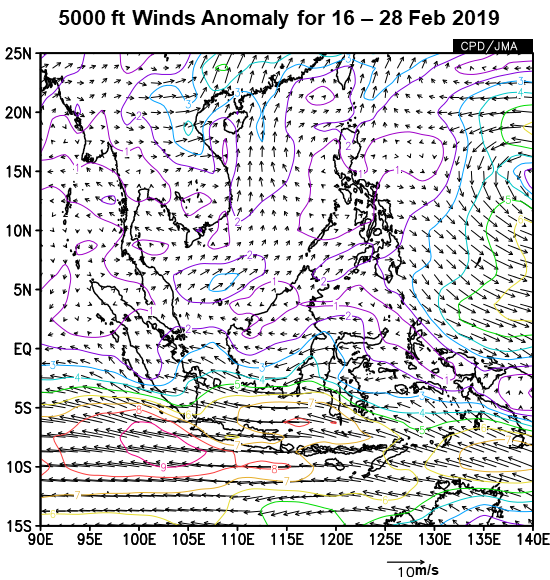 1.2 A confluence of winds typically favours shower activity development, but weather over the Mekong sub-region remained dry mainly due to the presence of dry air mass that has extended from the Pacific Ocean over the Southeast Asia region. 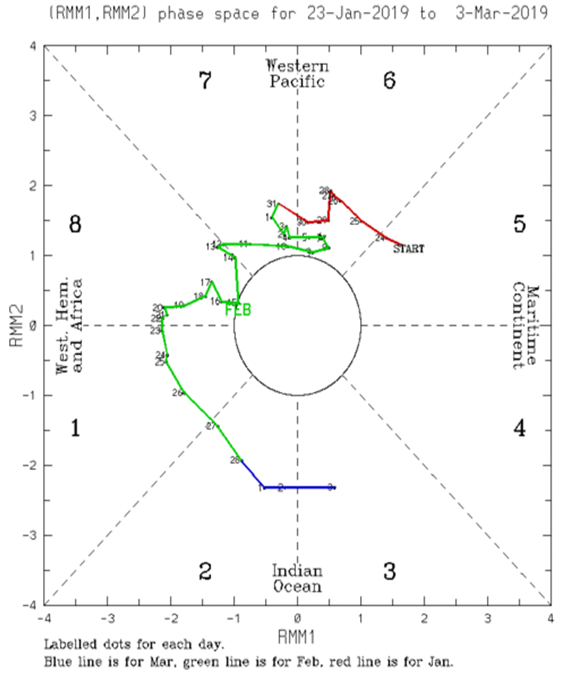 Elsewhere in the ASEAN region, rainfall distribution over the fortnight was also likely associated with the Madden – Julian Oscillation (MJO) which transitioned from phase 8 to phase 2 . 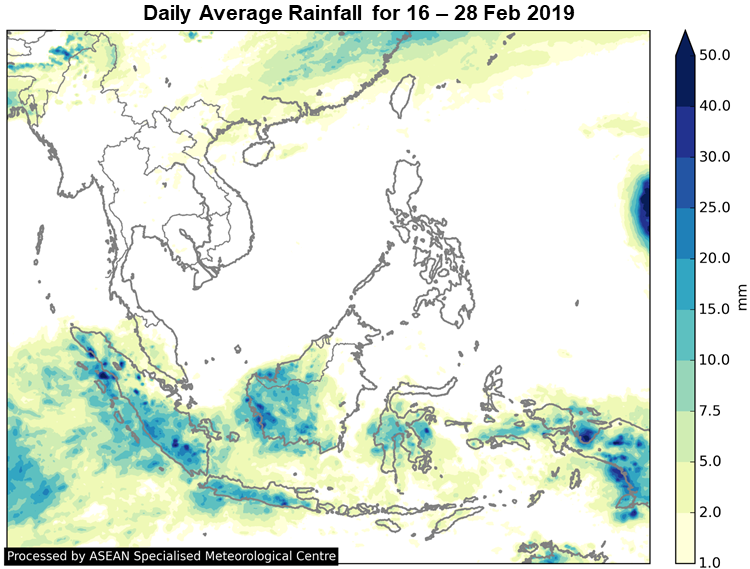 Well below-average rainfall was recorded in the Philippines, Peninsular Malaysia, Sabah, western Kalimantan and parts of Java, while above-average rainfall was received in other parts of the southern ASEAN region.